Ever wonder what goes into creating a convention? Stephen Zimmer has agreed to take us through the steps. He has agreed to do a six week series about what it took to put together Imaginarium which will make its debut this September. Planning programming for an event the size of Imaginarium is no easy feat. It takes time, patience, and a very strong sense of humor. When Stephen and I first started kicking around panel topics and scheduling ideas several months ago, I thought I was ready for the job...boy, was I ever wrong. I've learned a lot in the last two months, though, and I've enjoyed every step of the process. As Stephen mentioned last week, we have a wide array of panel topics and programming. 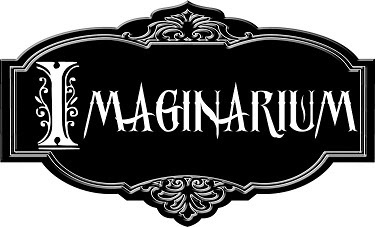 There's guaranteed to be something for everyone at Imaginarium, from the how-to panels on writing your first novel to fun fandom trivia and Q&A sessions with our special guests. We offer so many topics I still have a hard time keeping all of them straight! Not only do we have close to 150 separate panels and events packed into the weekend, we also have close to 130 guests. Matching up people to panels and slotting events to fit individual schedules isn't as easy as it sounds, either. If you were to ask some of our guests, they'd probably tell you that somewhere along the way I lost my mind and added them to unimaginable things. I've since apologized and done my best not to be crazy. I just hope they forgive me one day. But that sentiment right there embodies the whole essence of my involvement in Imaginarium. Every creative writer has been to an event at some point in his or her career where it became painfully obvious that the creatives were the low guests on the totem pole. It hurts to think you're being taken for granted and given the raw end of what seemed like such a good deal. My philosophy from the start has been to make our guests feel like they're part of something. I want to see them happy with their schedules and excited to be involved in the event we're building. That excitement is catching, and if the guests show enthusiasm, our attendees will pick up on it. It's about building an atmosphere while offering a worthwhile event. So anyway, that's what we did... now let's talk about the how. It started with a series of spreadsheets. One was broken out to represent time slots in each panel room. The second was a listing of every panel broken down by track – with only enough slots beneath the headers as we had seats on the panel. The third, and probably most important, as the spreadsheet to represent individual panelists' schedules. Slots were determined based on the number of panels each person requested. If a workshop was offered, it went into the schedule. If a specific event was offered, it went into the schedule. The next step was to make sure nothing conflicted on each. Every time I entered something on one sheet, it filtered over to the other two. If something was removed, I backed up and redid what I'd done. Back and forth, over and over, there were days when both my husband and Stephen thought I'd gone insane. And of course, I made mistakes. Hence the panelists thinking I'm nuts comment earlier. As I said, wrangling that many guests isn't easy. I started with the panels with the fewest number of requests. Those were assigned first, promising no conflicts and keeping them full. I moved through the list that way, building from the bottom up to ensure each panel got the love it deserved. Some of the decisions were extremely hard – there are so many wonderful, knowledgeable panelists that sometimes I literally had to flip a coin to determine which person got what seat. Those were the ones that hurt the most. And then there were the “Ask an Author” lists. Almost every panelist we have signed up for “Ask an Author”, and I couldn't think of a fair way to assign those. Since we had several open slots (even as many times as we counted, we still undershot it! ), I went crazy and set up multiple panels, each centered on a different genre – Romance, Sci-Fi/Fantasy, Urban Fantasy/Horror... and even then it was still so hard to decide! Now I want to take a minute to talk about the panels themselves. With over a dozen separate programming areas, we've tried to incorporate chances to answer as many questions as possible. We have panels on gaming – both for writing games and running them. We also focus on the publishing world, editors and their functions, and the craft of writing itself. We have fandom favorites based on some of today's hottest books, shows, and movies as well. Our romance writers get to shine as they discuss the craft of writing true love, and our speculative authors will take our attendees on a walk through the improbable. We even offer panels and workshops on the creative writing areas people don't immediately think of when they hear “creative writing”. We have panels for poets and songwriters, screenwriters, and even those who specialize in blogging and non-fiction. Imaginarium is a place where any creative type can feel at home. Stephen and I have had our heads together every single step of the way, and even now we're coming up with new topics we think would interest our panelists and readers...but I suppose we'll have to save those for next year. South Carolina native S.H. Roddey has been writing for fun since she was a child and still enjoys building worlds across the speculative fiction spectrum filled with mystery and intrigue. She brings to the literary world a unique blend of humor, emotion, and wild ideas filled with dark themes and strong characters. Having already traversed the murky waters of both the independent press and self-publishing markets for short fiction, Susan is proud to have found a home with Seventh Star Press for her Soul Collectors novel series. 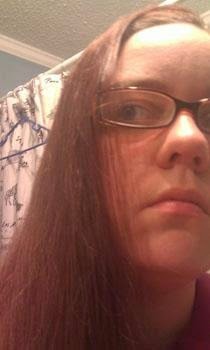 In her spare time, she also writes paranormal and contemporary romance as Siobhan Kinkade. Most people have no idea how much work goes into putting a con together! Especially the first one.